I saw the reminder yesterday in my son’s notebook that we should bring candies on Friday for the costume parade. 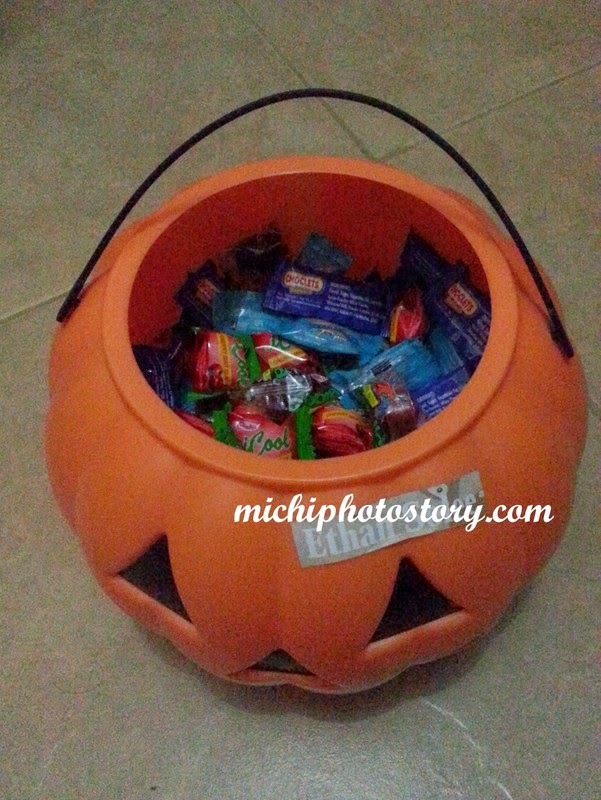 It made me confused at baka trick or treat ito and need ko ng pumpkin basket so I asked my friend about it. 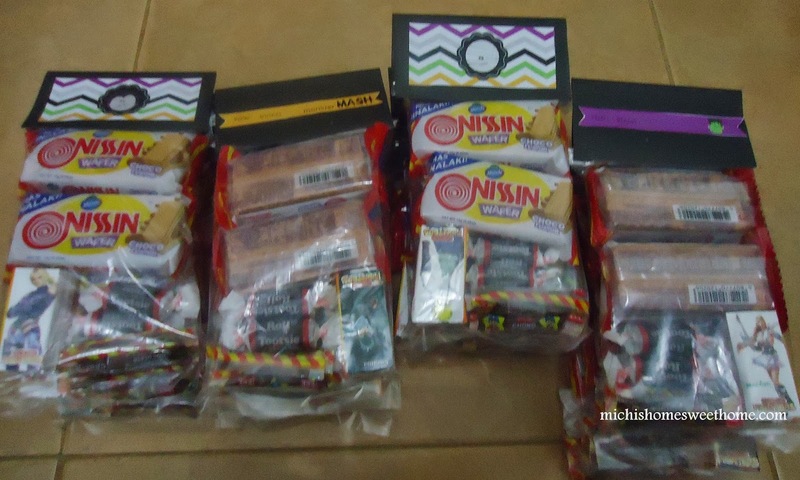 For the last two years, I brought goodie bags for my son’s classmates so I want to make sure kung gagawa ba ko or hindi. But my friend told me that the kids will roam around the campus giving candies to students, baka umabot pa ng college building so make sure at least 3/4 full ang padala ko na candies. This is one thing that I dislike in my son’s new school, late notification. As in two days or day before the event ang notification. Like sa mga monthly offering, buti na lang may stock ako sa bahay ng pinadadala but what if wala di ba. 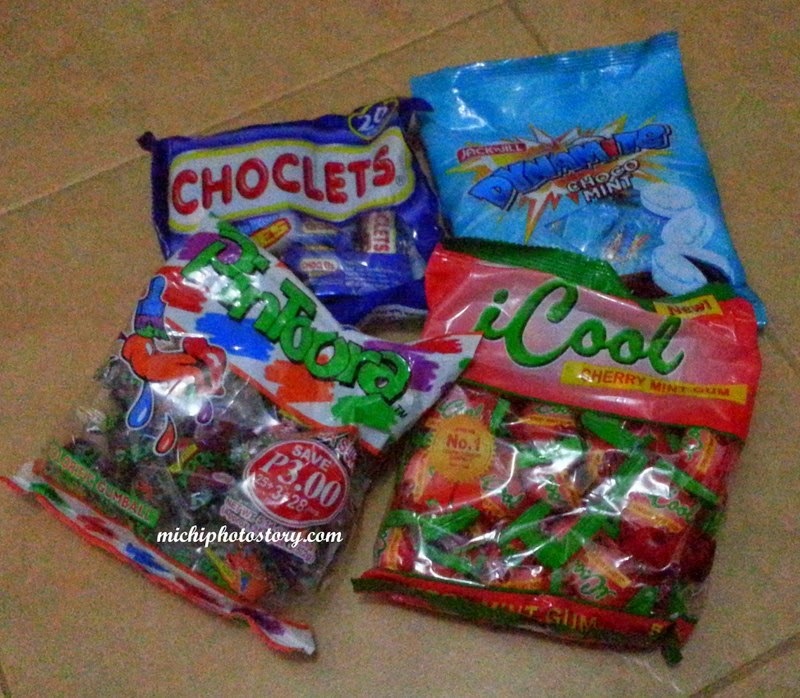 Anyway, I texted my husband to buy candies before he goes home. My son’s pumpkin basket is too big so half full lang basket namin. Hehehe! 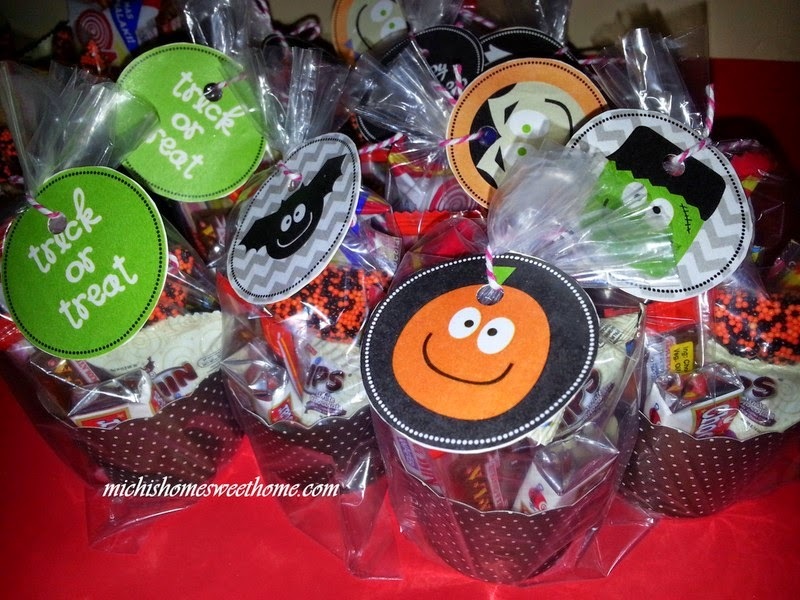 Sharing with you the DIY Halloween Goodie Bag that I’ve prepared before. Click the image to check the DIY. How nice of you to prepare the treats for the kids! :) I dig in on my daughter's loot bag to check if there are "undesirable" candies and remove those hehehe, are you the same? Candies are given as goodies because they're attractive and cheap. But I am personally against this. I love the pre-kinder goodie bags! It's a good thing that you were still able to prepare something despite the short notice. cute bags! i love everything diy, i might just make a batch of these for christmas! :-) you still managed to make something very cute at such short notice! kudos to you mommy!